At MWC 2016 on Sunday, HTC announced the pricing and availability information of its VR headset – the Vive – co-developed with Valve. The HTC Vive consumer edition will be priced at $799 (roughly Rs. 54,900), and will begin shipping April 1. Pre-orders begin on February 29. The announced price should be a relief to those consumers scared away by reports of the Vive sporting a $1,500 price tag – though it is still $200 more than the Oculus Rift. The Vive will be made available in the US, Canada, UK, Germany, France, Austria, Belgium, Czech Republic, Denmark, Finland, Iceland, Italy, Netherlands, Norway, Poland, Spain, Switzerland, Ireland, Sweden, Taiwan, China, Japan, Australia, and New Zealand. To put the price of the perspective, note that its chief rival – the Oculus Rift – is priced at $599 (roughly 41,200). The Rift box will include the headset with built-in headphones and mic, sensor, an Xbox One controller and an Oculus Remote, a new input device that helps users navigate through the Oculus store or explore video content. The Oculus Touch motion controller however, will be shipped later at an additional cost. The Rift pre-orders will also ship with EVE: Valkyrie and Lucky’s Tale. Oculus Rift will start shipping to 20 countries from March. It will also be available in limited regions with select retailers in April. The HTC Vive on the other hand ships with two wireless controllers, two Lighthouse laser base stations for room-based motion tracking, a hub to collect data and send it to the PC, and two games – Job Simulator: The 2050 Archives by Owlchemy Labs, and Fantastic Corporation by Northway Games. The Vive headset features a front-facing camera, an integrated microphone, Bluetooth connectivity, and HTC is also touting a new feature called Vive Phone Services, giving users access to phone features such as making or receiving phone calls, reading text messages, seeing calendar invites, and more. HTC also says the consumer edition of the Vive headset is much more comfortable to wear than previous prototypes and developer editions, with a new and improved headstrap, apart from other minor design changes that make it more ergonomic for a wider range of users. Just as with the Oculus Rift, the HTC Vive is required to be connected to a relatively powerful PC to work as intended. 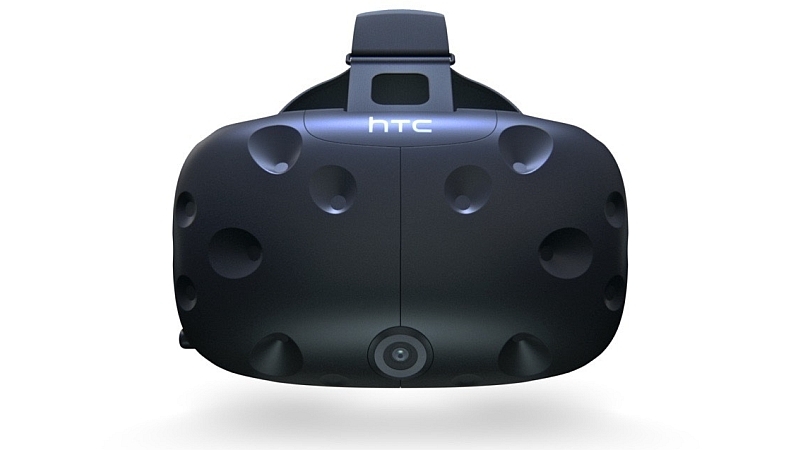 The Taiwanese company has also revealed the minimum PC specifications for the HTC Vive. To recall, HTC unveiled the Vive Pre second generation developer headset during the CES 2016 trade show in January. The second-gen developer edition sports few changes in hardware design. The company also overhauled the VR controllers, making it more ergonomic than before. It also has softer edges, improved balance, new textured buttons and a more comfortable grip pads.